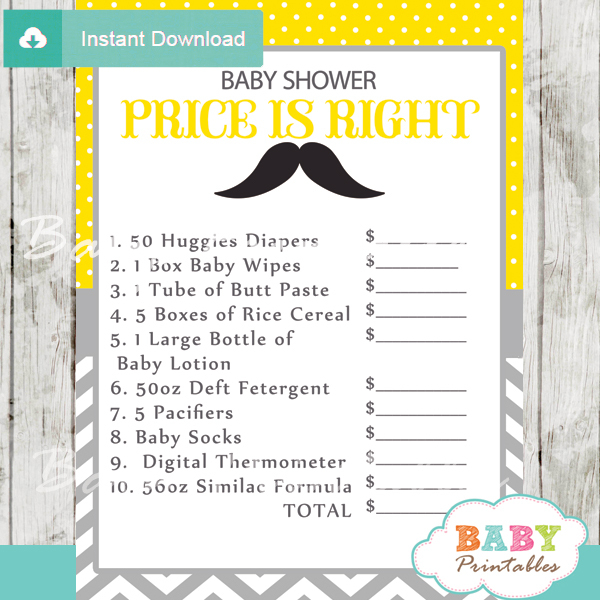 Throwing a Little Man Moustache themed diaper shower is a unique way to celebrate a new little boy! 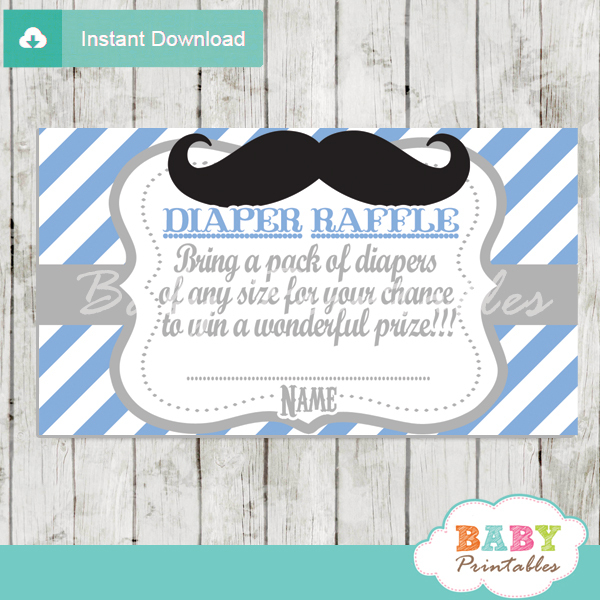 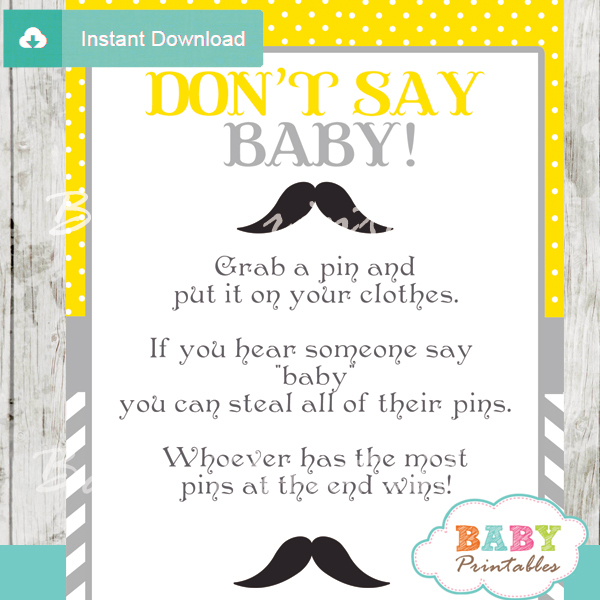 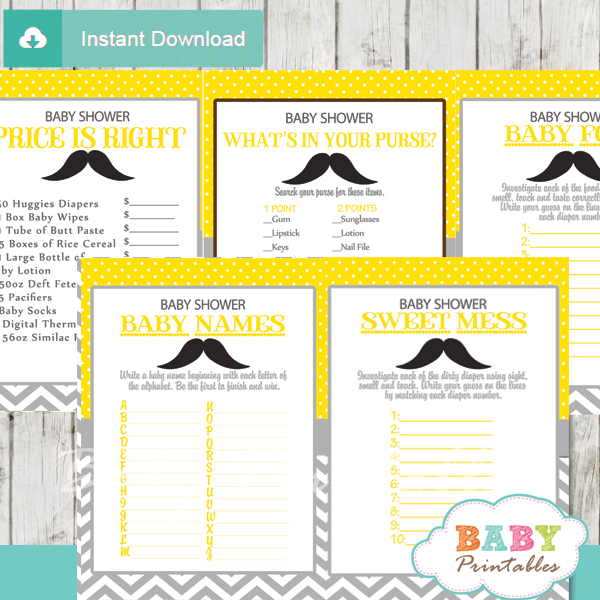 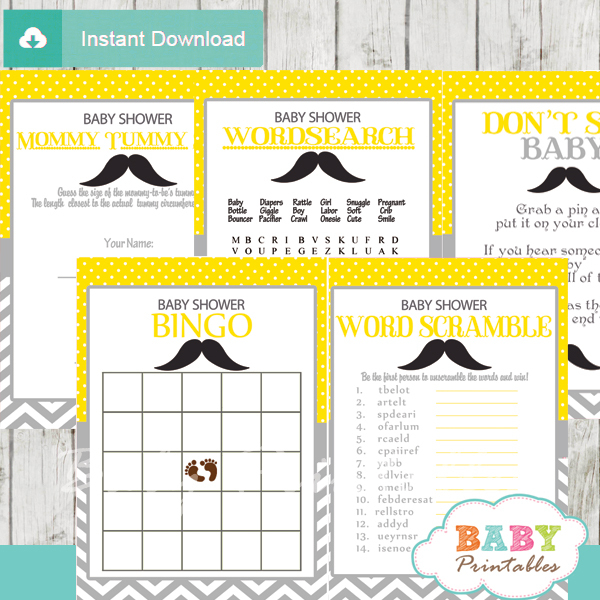 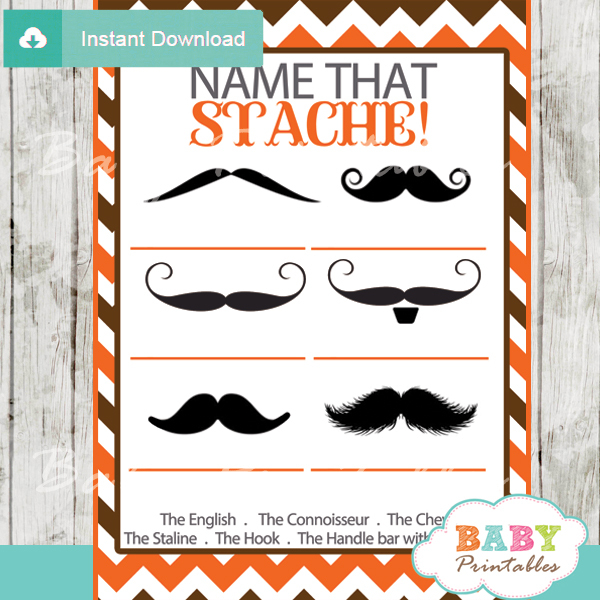 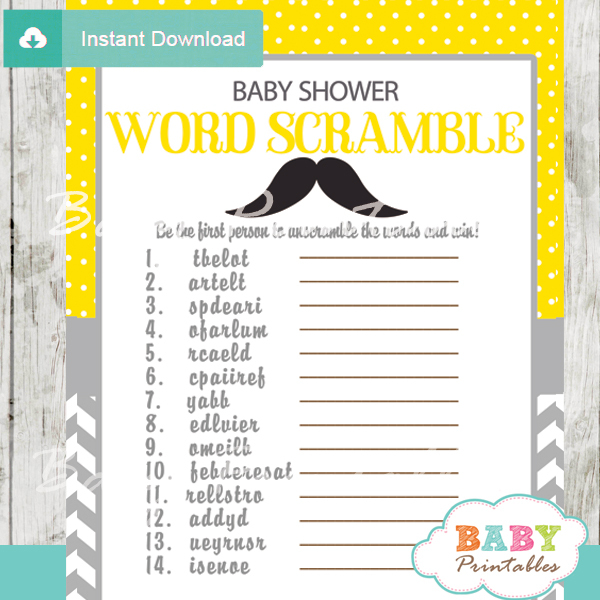 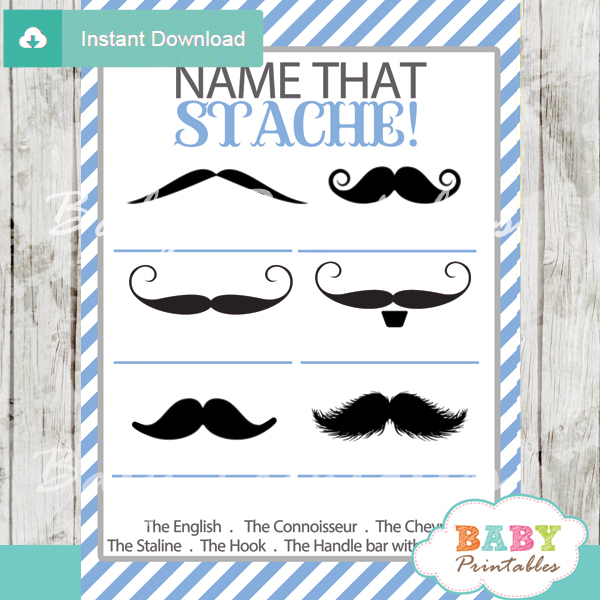 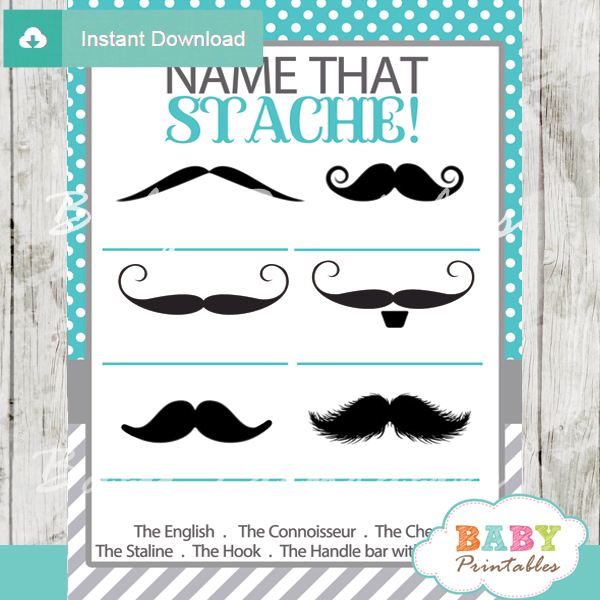 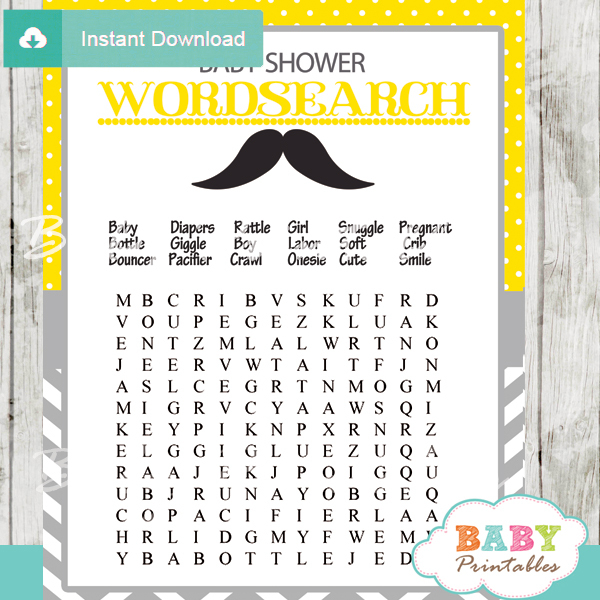 Keep your guests laughing and entertained with these fun printable Mustache themed Baby Shower Games. 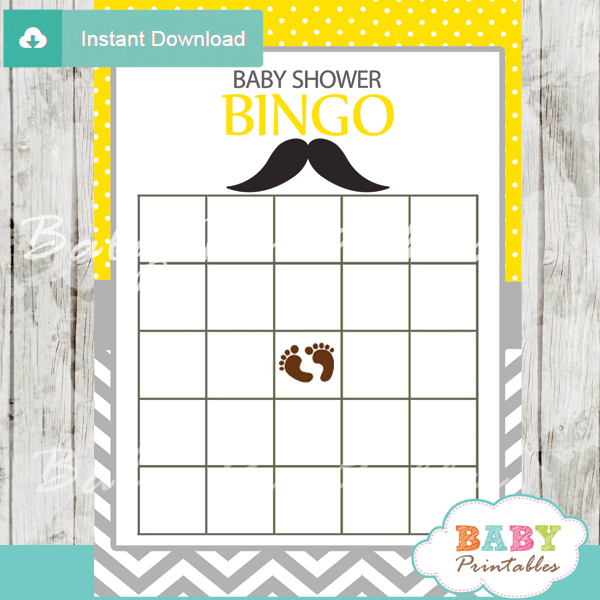 Each game card features a mustache to be proud of on a yellow and grey chevron backdrop.